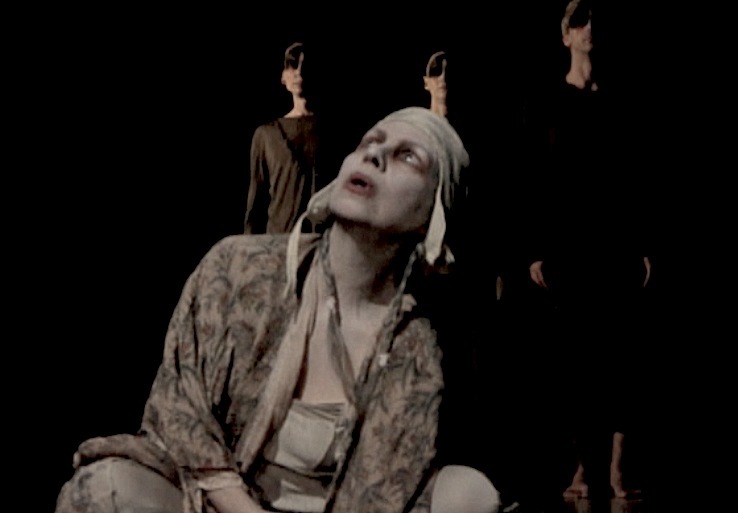 In 1977 Antero was inspired by the Paratheatre of Jerzy Grotowski and over the next four decades, he combined his early theatre experience and training (see below) towards the creation of his own paratheatre medium -- as documented in his book, "Towards an Archeology of the Soul" (Vertical Pool, 2003), in videos (1992-2017), and in academia by Nicoletta Isar, Professor at the Institute of Art History, Copenhagen University (2008). Between 1975 and 2005, Antero wrote, directed, produced and performed in numerous experimental theatre productions. In 2005, Antero stopped creating theatre and wrote and directed a series of feature-length art films -- including "The Greater Circulation" (2005; 93 min) a critically acclaimed cinematic treatment of Rainer Maria Rilke's "Requiem for a Friend", "The Invisible Forest" (2008; 111 min) featuring the radical ideas of French Surrealist, Antonin Artaud, "To Dream of Falling Upwards"(2011; 120 min), exploring the occult worlds of rural and urban sorcery and "The Book of Jane" (2013; 115 min. ), an urban fable of Feminine initiation. 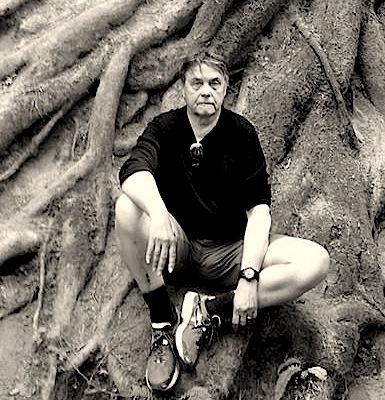 In late 2015 Antero stopped making feature films and returned to his experimental theatre roots in Portland Oregon where he continues paratheatre group work. My earliest theatrical training (1970/71) took the form of Mime Theatre with acclaimed physical theatre artist Keith Berger (protege of Paul J. Curtis, American Mime Theatre, NYC) and Method Acting at the Lee Strasborg Institute (1971-72; with Peggy Feury in Hollywood). In 1972/73, I joined Dudesheep Theatre, a communal experimental theatre company (Oakland CA) inspired by the radical values of The Living Theatre. Between 1972 and 1978, I taught and performed mime while writing and directing five experimental theatre plays (see Production History below). In 1976/77, I participated in a series of group ritual experiments directed by artist/composer David Rosenbloom inspired by the film Akropolis (Laboratory Theatre performance) and the book, Towards a Poor Theater -- both by Polish theatre visionary, Jerzy Grotowski (1933-1999). These early influences combined to initiate my life's work. In 1977, I started developing my own paratheatre medium combining principles and techniques of physical theatre, dance, Zazen meditation, and voice/song within an asocial group setting. 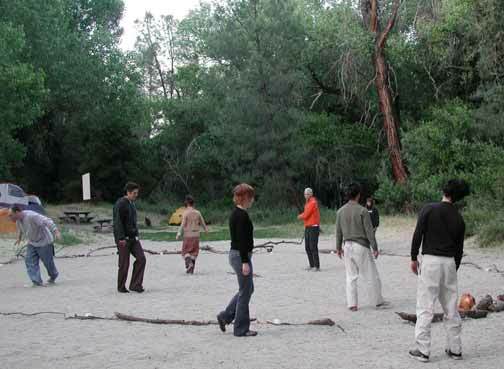 Over the next thirty-plus years and three cities (Berkeley CA, Boulder CO, and Seattle WA), I initiated hundreds of individuals to this paratheatre group work - actors, dancers, martial artists, singers, yoginis, painters, musicians, poets - as a means to expand access and expression of the internal landscape. This work had become its own laboratory for creative and spiritual experimentation, a revelation that informed the name "ParaTheatrical ReSearch" to symbolize our endeavor. However, I never had any ambitions or pretense for emulating or replicating anything "Grotowski" or "Brook" or "Artaud". It has been enough to continue learning from these experiments and their bounty of new errors, corrections and insights. Most of the ongoing group work in this paratheatre medium has occurred indoors in total privacy (no audits or audience). If and when this private and deeply internal work develops into something worth sharing, where communicable motifs appear, I begin structuring a performance vehicle in collaboration with the participants. Performances are rare; only nine productions since 1978 (see Production History link below). On occasion, I would initiate sojourns to wilderness settings to test group concentration amidst the unfathomable beauty of nature. Advancement in this medium necessitates fallow periods -- usually four to eight weeks between Labs -- where no paratheatre work occurs and when the lingering consequences of this dynamic process can find integration in daily life, where we can discover what we can apply and what was lost to the winds. No established theatre company or paratheatrical tribal entity exists, nor are we a social group or a "cult" (nor am I a "guru"). Due to the asocial climate critical to effective work in this non-performance medium, participants do not socialize in the workspace. In addition to the many who participate in the short-term, a core group of longterm individuals come and go according to the next ritual lab, paratheatrical performance, or film/video project. Though no formal paratheatre dogma or doctrine exists, the core values of integrity and autonomy define the central ethos of this work process. 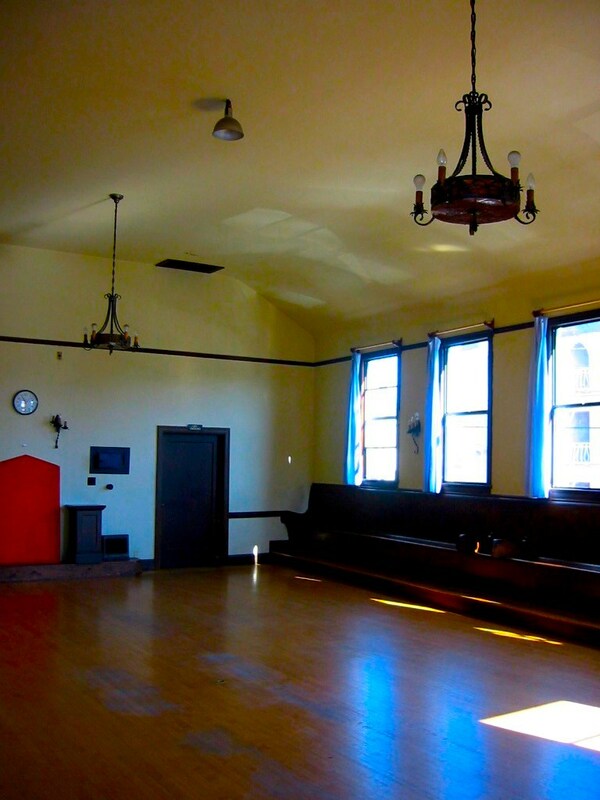 The overall purpose of this paratheatrical process is to provide a safe space for developing individual talents and skills, within an asocial group ritual dynamic, for increasing access and physical and vocal expression of the internal landscape -- a visceral self-discipline for making the unconscious, conscious. Over three decades of primarily non-performance oriented ritual labs, certain themes and directions have developed and crystallized into public events, lectures, demonstrations, video screenings and performance rituals (also see Production History section below). The techniques, principles, and rituals applied in this work are documented in my workbook, "Towards an Archeology of the Soul" (Vertical Pool Pubishing, 2003), in eight video documents (watch videos here), and an audio CD, Songs as Vehicles (2005; 43 min.) produced during the 2004 Song As Vehicle Lab. In 1996, my wife the singer/composer Sylvi Alli and I established Vertical Pool Productions in Berkeley CA as a ParaTheatrical ReSearch affiliate to serve our ongoing artistic collaborations with others in video, film, and music production. Since 2000, these paratheatrical processes have inspired and informed story and character development in six feature-length art films: Tragos (2000), Under a Shipwrecked Moon (2003), The Greater Circulation (2005), The Invisible Forest (2008) To Dream of Falling Upwards (2011), and Flamingos (2012). This two-year dreaming ritual project unexpectedly laid the groundwork for ritual dialogue with the Muses archetype. In the Spring of 2010, the Muses Lab proved revelatory in how it inspired the scripting and production of my 2011 feature movie, To Dream of Falling Upwards and Sylvi's 2010 music CD, Vessel. On the Winter Solstice 2010, we returned to the Muses theme in the "Ritual Actions of the Muses" Lab to advance our research. This second Muses Lab explored the distilling actions of the creative process that inspired my next feature fiction movie, Flamingos, (2012); click this for Muse Lab notes. On November 7th 2011, we entered the third in this series to explore charged trinities (the Muses Trinity Lab) and then, almost three years later, we met the Muses for the fourth time in the summer of 2014 and for the fifth time the following summer of 2015. Since the 2005 Song As Vehicle Lab, performance, and Song CD, singer Sylvi Alli's work as an Embodied Voice coach had become a seminal influence in this paratheatre medium. 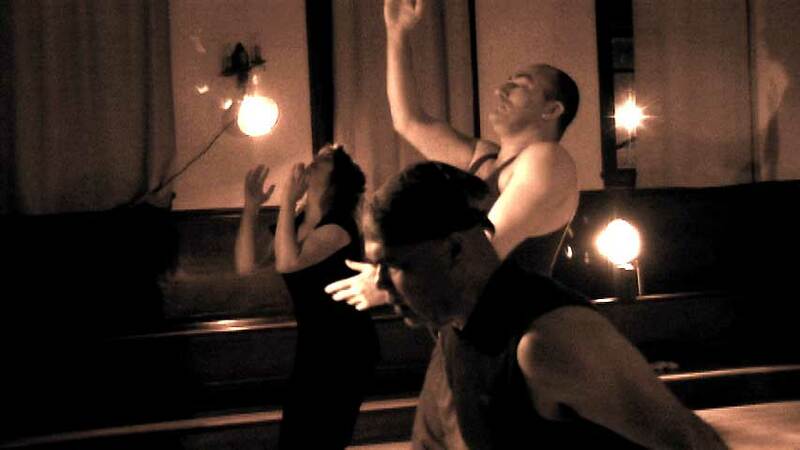 In Spring of 2015, Sylvi and I co-facilitated the Ritual Song Lab, a somatic process of bridging song, movement, and ritual. We applied paratheatre trigger methods as a basis for singing "Pusta Mladost", a Bulgarian folk song allowing its melodic and rhythmic currents to inform movement, gesture, and ritual actions. In October of 2015, Sylvi and I relocated to Portland Oregon to reinvent ParaTheatrical ReSearch as a performance vehicle. We started by staging a series of Workshops (Labs) to train dancers, ritualists, actors, performers and non-performers alike in Paratheatre methods in hopes of finding resonant individuals to help develop and perform new works of an intermedia ritual-based theatre (incorporating poetic text, music & song, video) directed by myself with musical direction by Sylvi. These early efforts met with success. 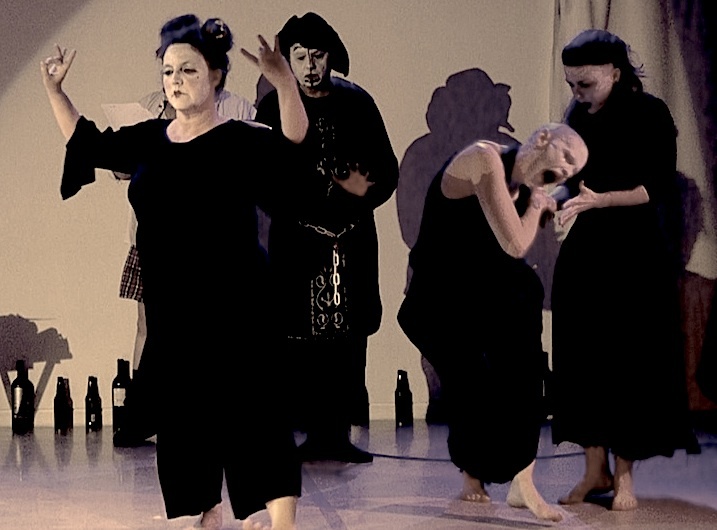 Our first Portland production, "A Turbulence of Muses" a symbolist ritual (poetry by Arthur Rimbaud) came to fruition in the Muses Lab and premiered December 2-4 2016. The "2-Faced Clowns Lab" explored personal and collective hypocrisy as a resource for developing characters in "Bardoville" (poetry by Charles Bukowski; vocal creations by Sylvi and E.V.E.) that premiered May 12-14 of 2017 to critical acclaim. Our next production, "Soror Mystica: Ritual Invocation of the Anima", was workshopped in the Alchemy Lab and premiered Dec 1-3, 2017 (musical direction by Sylvi Alli; poetry by Hilda Doolittle aka HD); also to critical acclaim. "Fallen Monsters" (poetry by William Blake) was workshopped in the Contract Lab and premiered May 11-13, 2018. 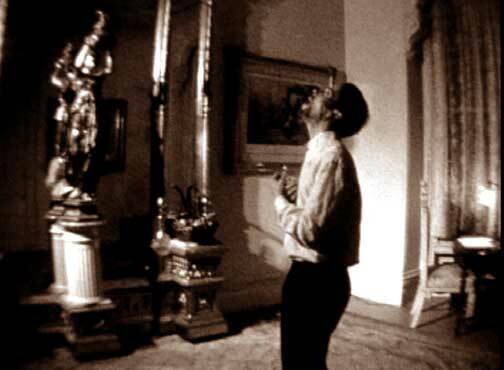 Our upcoming performance ritual, "Escape from Chapel Perilous!" (poetry by Sylvia Plath) was developed over 11 weeks in the Labyrinth Lab and premiered on November 29th, 30th, Dec. 1 & 2, 2018. We will skip our usual May production schedule to focus on elevating the craft of Paratheatre before returning to performance in late 2019. As of March 1st, 2019, we stopped preparations for future performances to focus on the development and elevation of our craft in private, non-performance ritual labs -- starting March 10th with the Dreaming Ritual Lab and over the summer we will explore the Muses archetype in the 8-week Muses Lab. 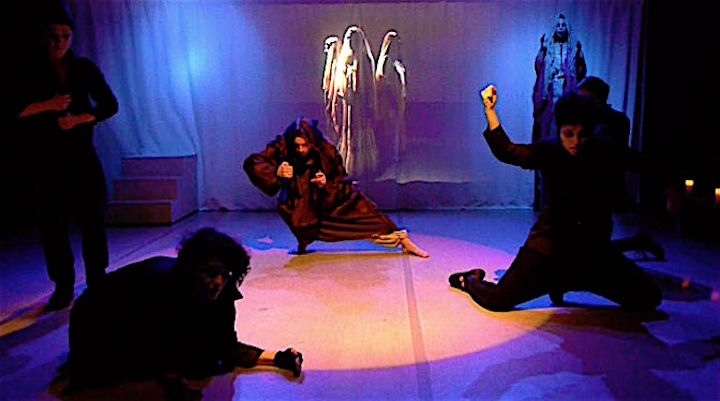 After this Muses Lab, preproduction will start in September for our next intermedia production , "New Revelations of Being" (text by Antonin Artaud) with performances scheduled for December 6, 7 & 8, 2019 at PerformanceWorls Northwest, PDX . Those interested in participating in this paratheatre work are advised to read the material at this page before contacting us at: noform@paratheatrical.com.